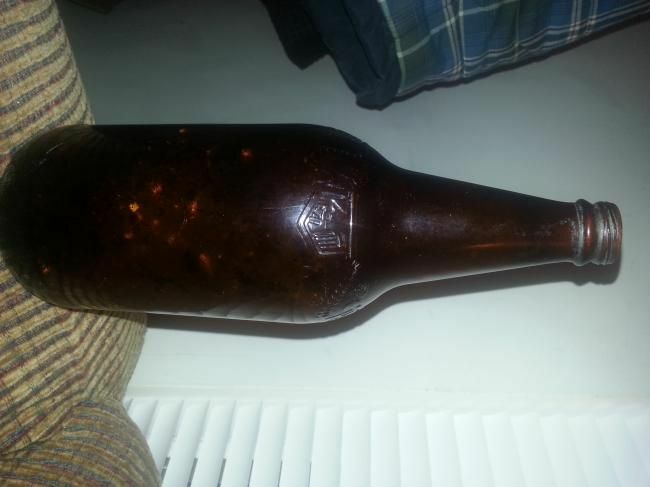 Hey all, I found this old bottle in a construction site and I'm dying to get some more information on it. The seams on the bottle run all the way from the base to the top of the lip, so I know it's machine made and not extremely old. I'm having trouble finding a good match on the maker's mark, though. 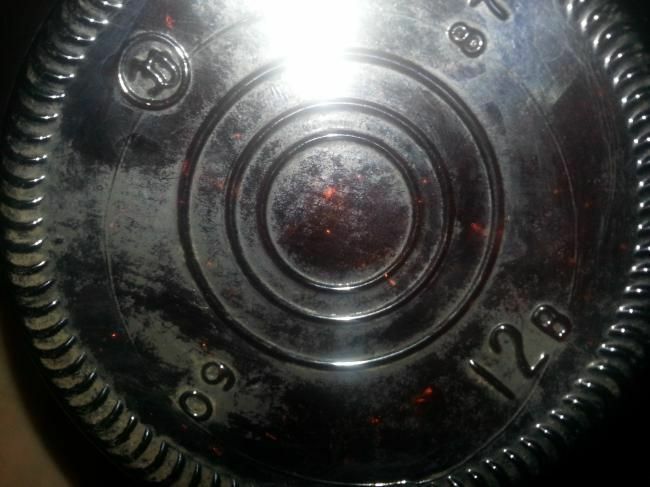 As you can tell from the picture of the base, it looks vaguely like a CC, JJ, II... I don't know. The side has a unique imprint design. It's an emblem or seal of some sort. It doesn't show up well in the pictures. One of the designs appear to be a flower, or wheat... with some grapes? 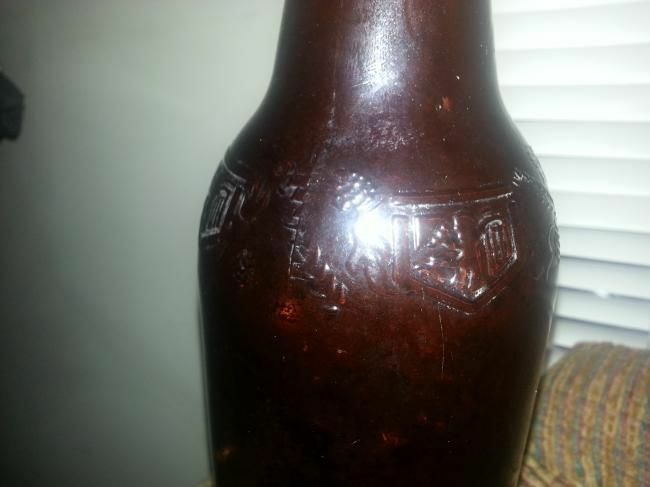 Could it be a wine bottle? Any help would be greatly appreciated. I'm stumped! Hi Pierce, you have a beer bottle from the 1970s or later. The key marking is the one shown at about 10 o'clock in the second picture. It would be helpful to provide a drawing or rubbing of this mark. It is also hard to make out the embossing on the shoulder of the bottle - perhaps a picture taken outdoors at dusk or on an overcast day would produce a clearer image.